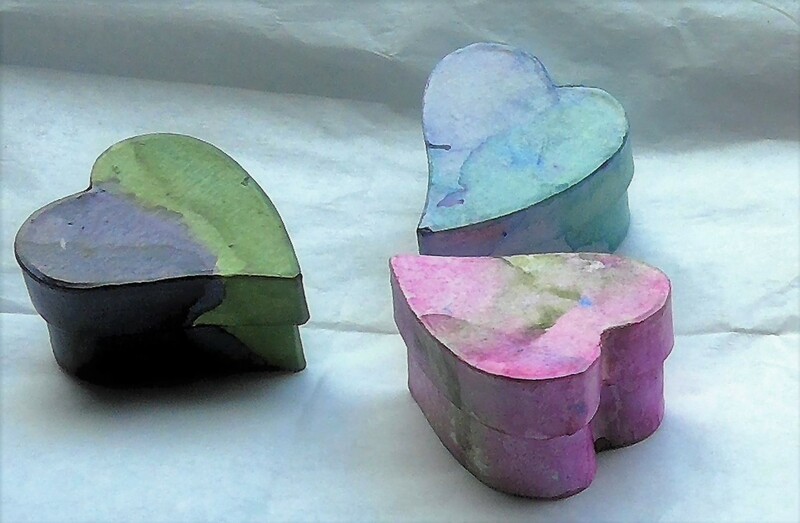 Mini hand-colored papier mache hearts make nice gift boxes for small jewelry items. These are created using alcohol inks. Occasionally, I enjoy making earrings and necklaces from beads and metal. My desire to accessorize an otherwise boring work wardrobe was the impetus for this hobby.